Established in 2004 we have served the needs of customers from our highstreet store located in Chester, Cheshire. We have recently extended our reaches to cover the entire UK with our new e-commerce enabled website chesterrepaircentre.co.uk. We also have a selection of refurbished computer systems from well known manufacturers. If it's repairs you are looking for then look no further. 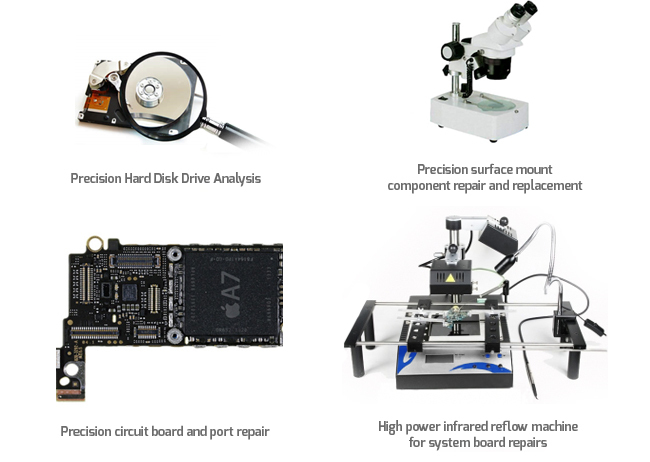 We operate a well equiped electronics repair workshop for all types of computer, mobile phone and tablet repairs. Our skilled repair technicans have a combined experience of over 24 years in the mobile repair field and are equipped with the latest technology to get your repair sorted fast. Our repair services cover a wide range of problems including Screen Replacement, Water Damage, Speaker and Microphone, Charging Port Repair etc. We repair all major manufacturers such as Apple, Samsung, HTC, LG, Nokia, Blackberry and Sony. Our technicians repair 95% of mobile phones within 1 hour. Our advanced repair system keeps track on the progress of your repair and will notify you by text message as soon as it is ready. If we can't fix it within the hour due to unforseen circumstances then we will let you know exactly how long it will take. Why not treat your self to a stroll around Chester City Centre or a Coffee while your repair work is carried out. Our IT technicans many years of experience in diagnosing and repairing faults on all major manufacturers such as Acer, Asus, Compaq, Dell, Fujitsu-Siemens, HP, Toshiba, Samsung and Apple. Our Repair Service covers a wide range of problems including Screen Replacement, Data Recovery, Motherboard Repair, Power Jack Repair, Operating System Re-Installation and Virus Removal. We have a professional data recovery system that allows us to perform a 'sector by sector analysis' for full or partial data recovery on drives that have mechanical failure. The system is often capable of retrieving data when typical data recovery is not possible. All of our repair services are available throuhout the UK via our Postal Service.